(1 January,2019), The manager of health office in Taiz said 16 people died of cholera out of a total of 10,000 cases in Taiz city. (1 January,2019), Houthi militia has continued mark the houses left by civilians as a result of the war in Hodeidah to turn them into military barracks. (2 January,2019), Displaced people, patients and victims fall and drown in blood. 2018 ends with a track record of human rights violations against civilians in Al-Jawf governorate. The governorate is still struggling with the Houthi militia coup in more than 10 fronts. (2 January,2019), A 6-year old child got shot in the head by Houthi militia positioned in Alka’abain mountains in Lahj governorate. (4 January,2019), Three civilians, including two children, were killed by the landmines and explosive devices planted by Houthi group in Almasna neighborhood, south of Hodeidah city. Local sources said the two children were killed as they were going to bring water and food for their families. (4 January,2019), Hunger year… this is how we can describe the past year, 2018. The number of people who depend on emergency food aid increased from 8 million at the beginning of 2018 to 14 million at the end of 2018, according to UN reports. (4 January,2019), Yemeni children resist war and continue their education as it matters most. 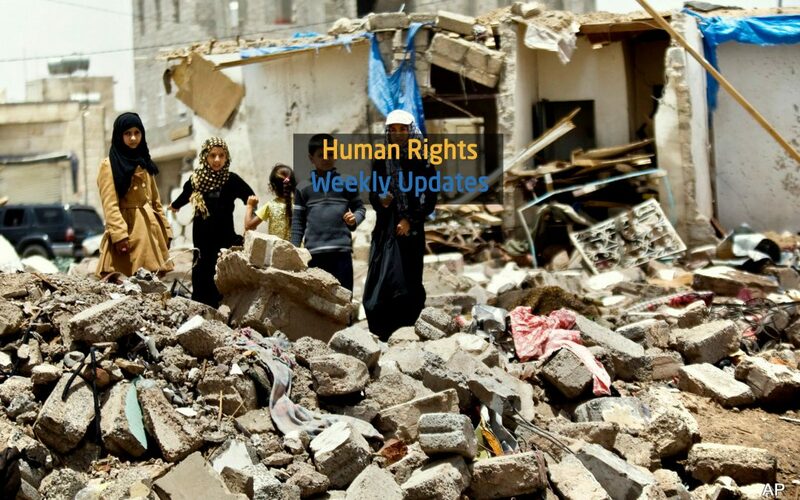 (5 January,2019), Local sources said 2 civilians were killed and six others injured, including two children, by a landmine planted by Houthi militia in Salah valley in Taiz city. (7 January,2019), Local sources: 4 civilians were injured by shrapnel from a shell fired by Houthi militia on Aldahmya neighborhood in downtown Hodeidah city.